Why pay 79¢, 89¢, or even 99¢ for toothbrushes for your practice when you can be paying as little as 46¢ per brush with Dental Elite? Our toothbrushes are manufactured by the same companies that make all of the national branded brushes, ensuring your patients top quality products. When you order from Dental Elite, you decide the price you pay for your brushes! As you order more, you save more! 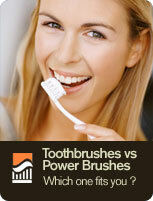 Mix and match cases of toothbrushes and save! Cut your toothbrush budget by up to 50% with low-cost, premium brushes from Dental Elite! Mix and match cases of toothbrush products to receive a great quantity discount! All cases contain 144 brushes equally mixed in available colors unless otherwise noted. Minimum order is 4 cases. Specialty Brushes and Products. Buy each product in bulk for a quantity discount!